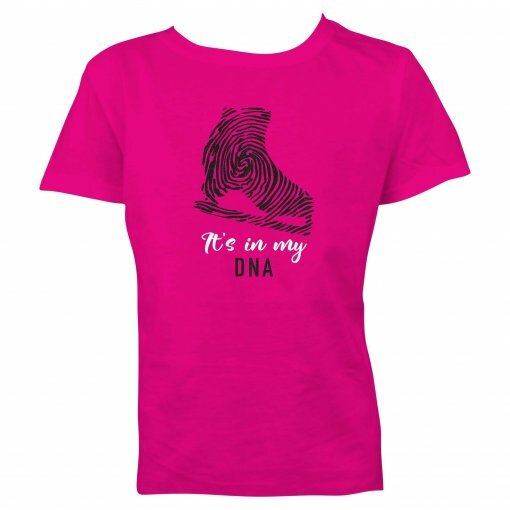 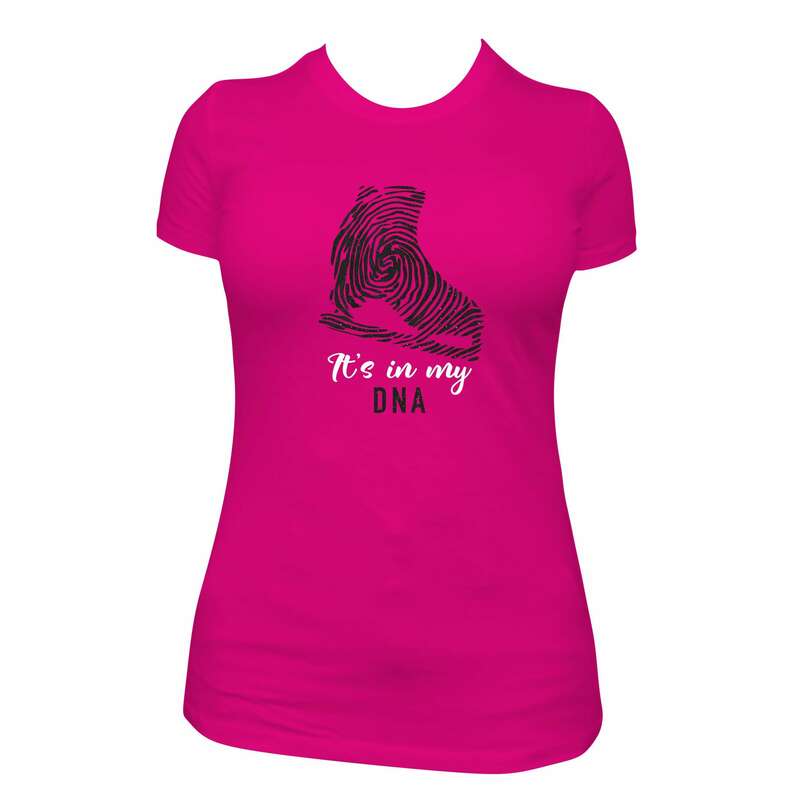 A gorgeous high quality slim-fit short sleeved crew neck t-shirt in hot pink with the slogan ‘It’s in my DNA’ across the front. 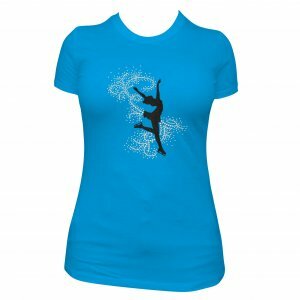 The skate and word ‘DNA’ are produced in highly sparkly glitter flake which catches the light beautifully and does not shed. 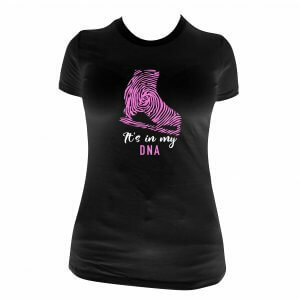 The words ‘Its in my’ are produced in smooth vinyl. The kids and ladies t-shirt shapes are slightly different but both made of the same high quality fabric – see photos for more info.